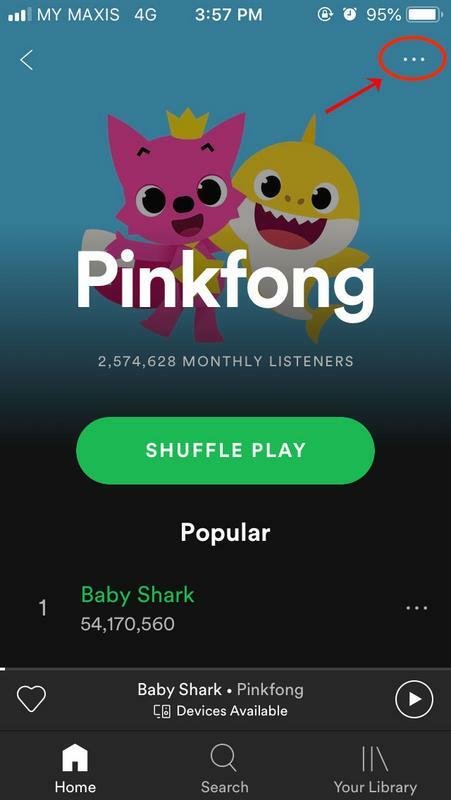 The feature was originally set to roll out in 2017, reported Mashable Southeast Asia, but the service decided against releasing it following "serious consideration". A quick check on the desktop app found that the feature was not available. 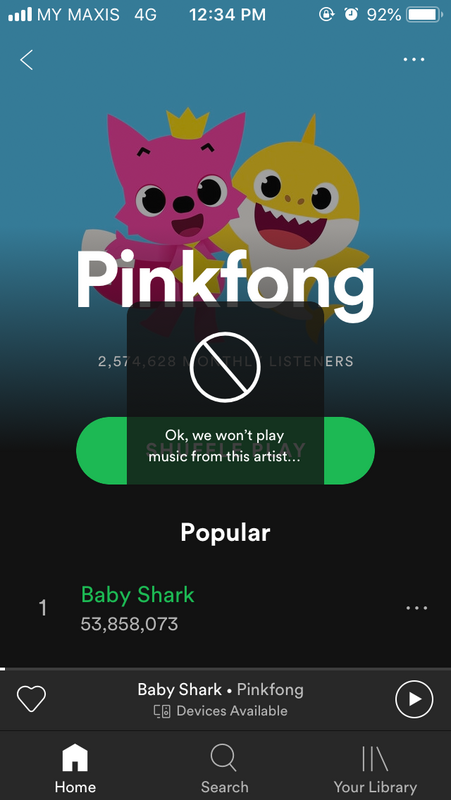 By turning on the feature, it would allow users to block particular artists from being included in playlists, libraries, charts, and radio stations. However, the "block" will not apply to tracks which the artiste is featured on. 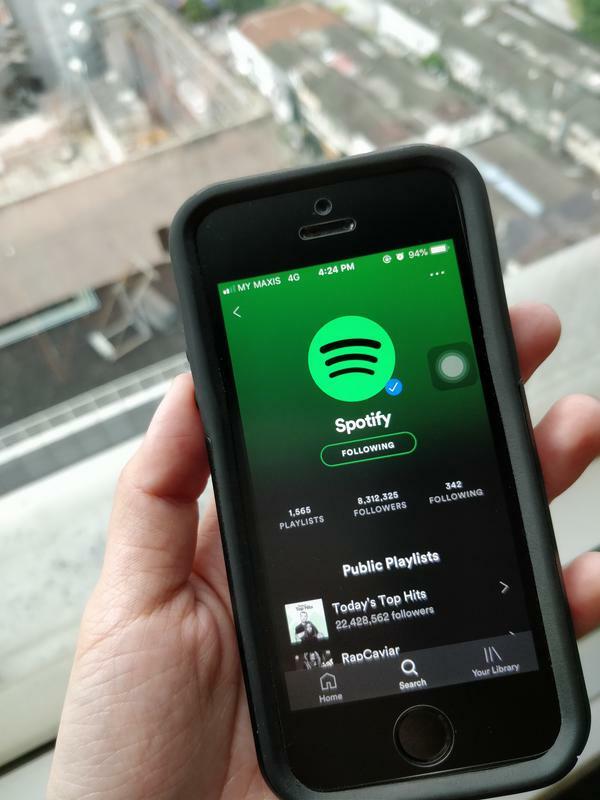 If you're one of the lucky ones, here's how you can start blocking artistes. A special example for all exasperated parents. 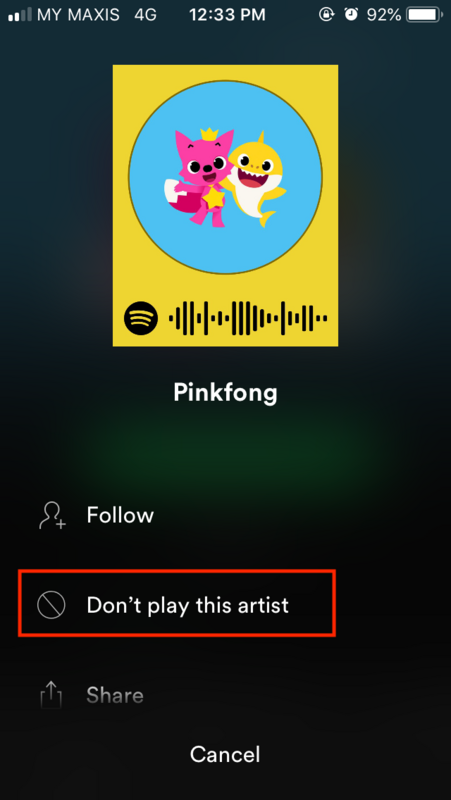 Step 2: Look for the "Don't play this artist" option and tap it!